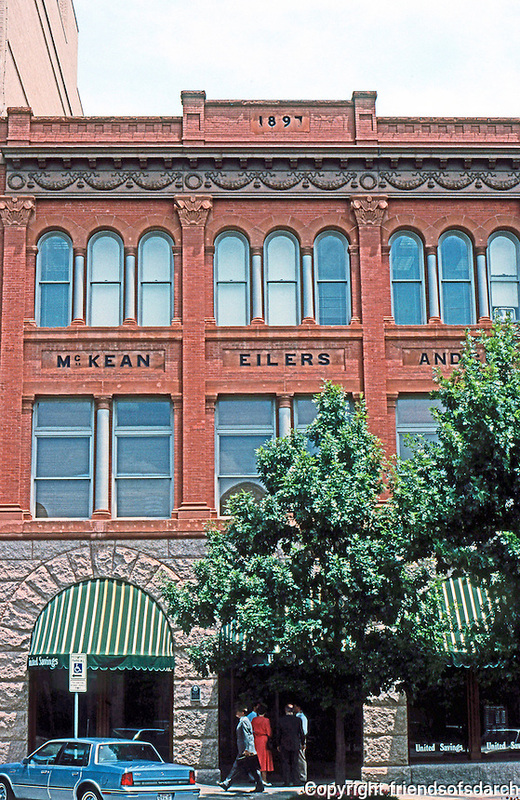 Austin: McKean Eilers & Co., 1897, 300 block Congress. Hardware Merchants. J. Riely Gordon, Arch., known for TX courthouses in Bexar, San Antonio.